The stones of 15 HaAvot St. are witnesses of significant events in the modern history of what has been called Palestine, but which God has named the Land of Israel. Even the name of the street is a prophetic testimony of God’s longer history — past, present, and future — concerning this His land, and this city of Beer Sheva. The Hebrew word, ha-avot, means “the fathers” in English: Abraham with Sarah; Isaac with Rebecca; and Jacob/Israel with [probably] Leah all lived in Beer Sheva, the only city in the Promised Land which can make such a claim! They are the Fathers (and Mothers) of the Jewish people/Israelis today. Abraham is also the father of all who believe in the promised Messiah, the rightful King of Israel and of the Jews — Yeshua/Jesus; Isaac is the son of promise who, in a figure, was offered as a sacrifice unto YHVH God and raised from the dead: a demonstration of God’s way to fulfill all of His promises through His Son; Jacob/Israel is an example for all of us as to God’s ways of grace and chastening to fulfill His purposes for those whom He calls and loves. The house and walled compound at 15 HaAvot St was built by a Turkish administrator in 1903 during the waning years of the Islamic Ottoman Empire. He built it on a strategic rise in the SW part of the city (which the Turks rebuilt in 1900), overlooking the Beer Sheva wadi (a dry stream bed except during the rainy season). This setting for the house provided a panoramic view around the desert expanse around and beyond the town. In 1911, the Christian and Missionary Alliance, a U.S.-based organization and fellowship, rented the house and property. In 1913, the CAMA purchased it all. by the sovereign grace of God, this property has remained privately owned Christian property dedicated to the service of God the Father and the Lord Jesus Christ for almost 100 years now. 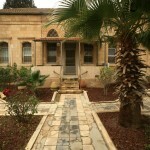 The house is marked on tourist maps of Beer Sheva as “The Mission House”. The initial work of the CMA was to the Arabs and Bedouins living in and around the city. On October 31, 1917, the Old House (as it is fondly called) was a silent witness to the heroic victory of the Lighthorse Brigade (the ANZACs), under the British General Edmund Allenby, against the Ottoman Turks. This victory made possible the return of the children of Israel, scattered throughout the nations of the world, back to the same land which God had covenantally promised thousands of years earlier to the fathers and to their descendants. The Alliance workers continued to use and develop the house and property until they were forced to leave during WW2, when the battle for Palestine/Israel was intensifying, culminating in the 1948 War of Independence, “securing” the modern nation-state of Israel. Thanks to God, the new Israeli government of the restored country offered to all prior property owners — those who had left during the war — the return of their properties if they could show proof. The CAMA was able to do so, and have been faithfully holding on to their visionary purchase. 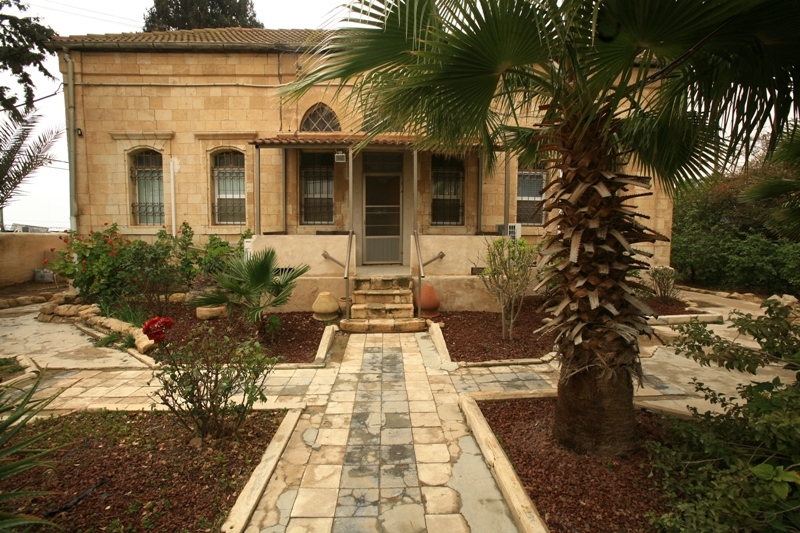 Nachalat Yeshua Messianic Congregation has had the privilege to use and maintain this historic and preserved building in the historic city of Beer Sheva since 1995, after we had outgrown the third floor of another CMA-owned property at 39 Rambam St., also in the historic Old City (downtown). That privately owned building is today Ha-MaKoM / The Bible House, which has been representing the public face of the Messianic/Christian community since 1957, the only such ministry in the Negev Desert.